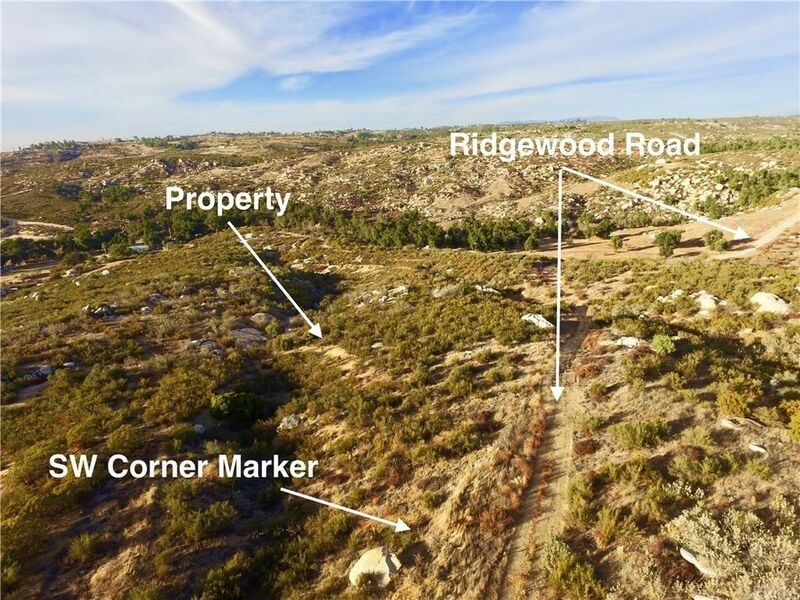 18.52 ACRES of VACANT VIEW LAND in BENTON OAKS, Southwestern Riverside County, the fastest growing County in California. Just off the R-3 Sage Rd. Easy commute to Hemet, San Jacinto, Nuevo and Winchester plus. Murrieta to the North and the renown Temecula Wine Country to the South. Centrally located makes this an amazing primary or second custom home/ranch/orchard. Approx. 658 foot frontage. Septic tank and propane area. Parcel provides natural terrain and interesting rock outcroppings. With over EIGHTEEN and ONE/HALF ACRES, room for gardening, orchards, stables, out-buildings and custom home sites. No rules or regulations. NO HOA! Atv's and dirt bikes ok on the miles of roads and trails. Minutes to Diamond and Perris Lake. Fishing, hiking. boating and more. Shopping/services close, plus the Ramona Bowl/Idyllwild Mountains/Aguanga, Cahuilla and Pechanga Casinos surround location for family convenience and entertainment. One of the last areas in Southwestern Riverside County with large rural parcels. Clear air and views are superior! Close to the Hwy 243, I-215 to the I-15 to the South to San Diego County or to the Hwy 74, 79 and the I-79, I-60 and I-10 leading to all of Riverside and San Bernardino Counties and the Greater Los Angeles County! Fantastic 18+ vacant land acres (4, 044 per acre!!) Investment opportunity hold or make this parcel for your PERMANENT RESIDENCE, GROWING PLANTS/ORCHARD or a private and serene SECOND HOME!! Must see this beautiful location! Directions: From Sage Road take Red Mountain East to Empty Saddle, Empty Saddle goes right at the end, left on Endor, right on Ridgewood to the property.